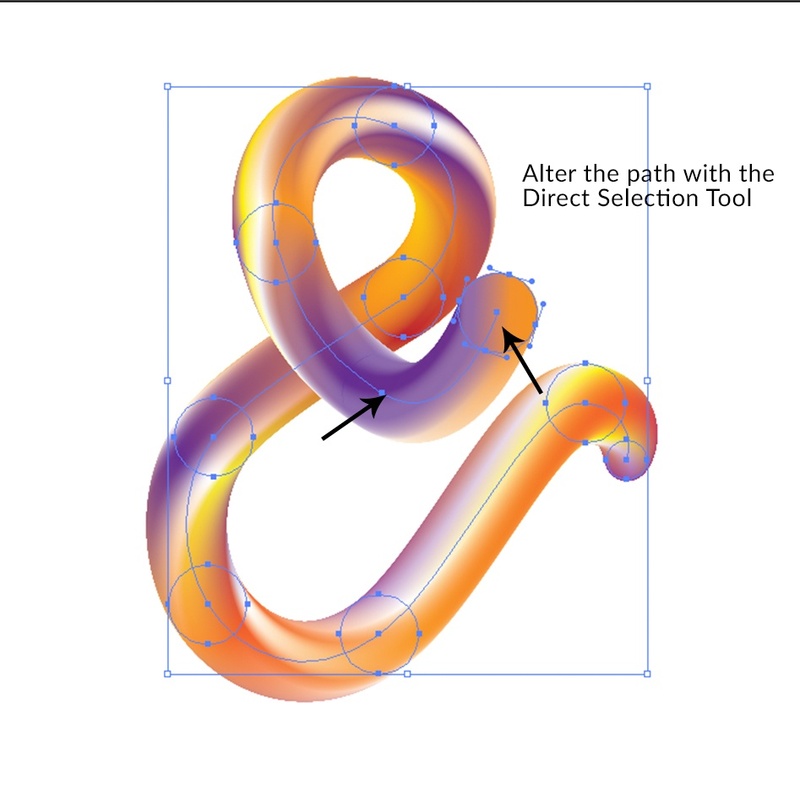 The Blend Tool in Adobe Illustrator is a tool that often gets underused. 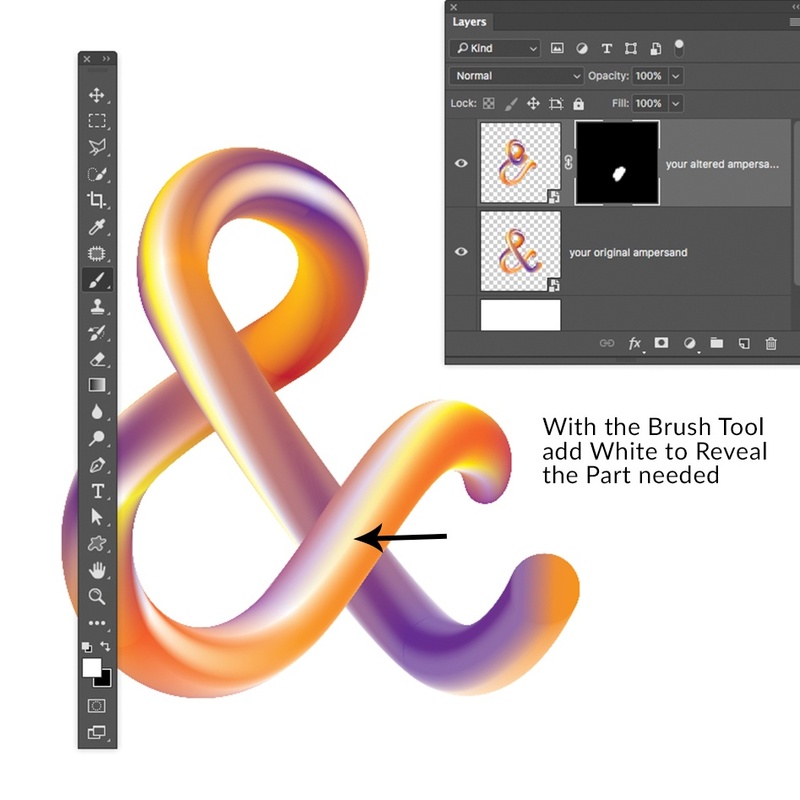 The Gradient Tool is powerful and can give you the color combinations that you are looking for, but when the Blend Tool is combined with the Gradient Tool, the possibilities are endless. 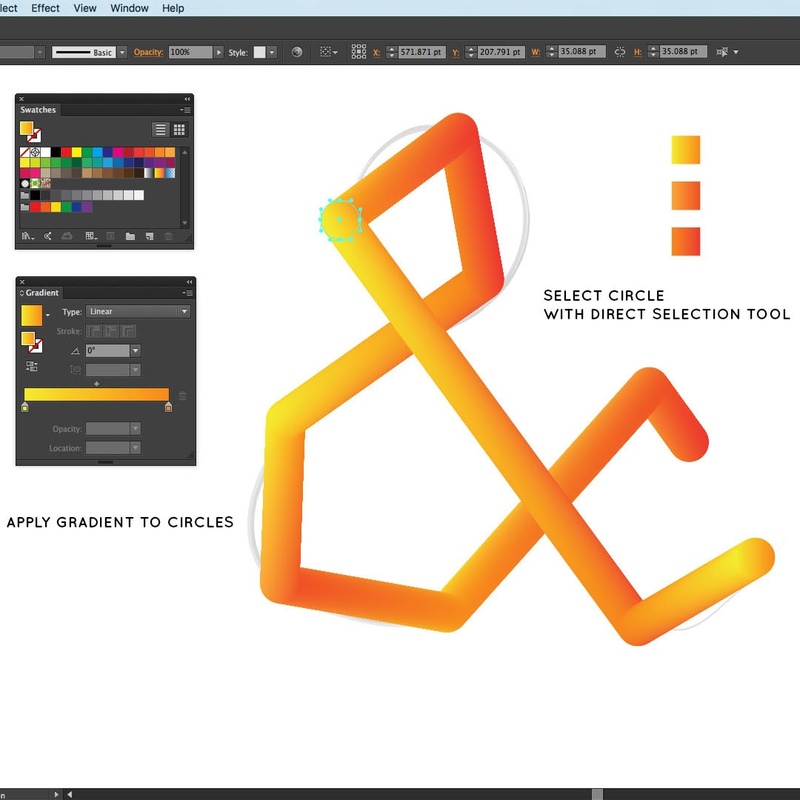 We’ll create a colorful tubular effect with the blend tool. This effect can be applied to any letter or shape. So let’s get started! 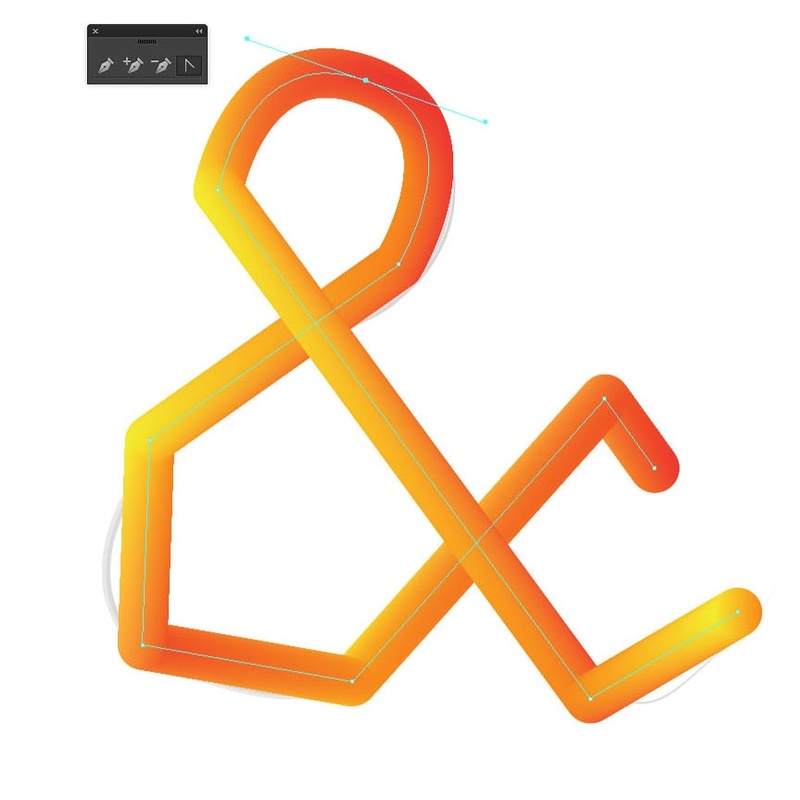 First let’s setup a document in Adobe Illustrator, size is not important (for once lol) and let’s create a quick sketch of an Ampersand or any other letter or your choice. This will help us to place the objects and it will act like a template. Then we’ll create circles filled with a color. Set the Stroke to none. 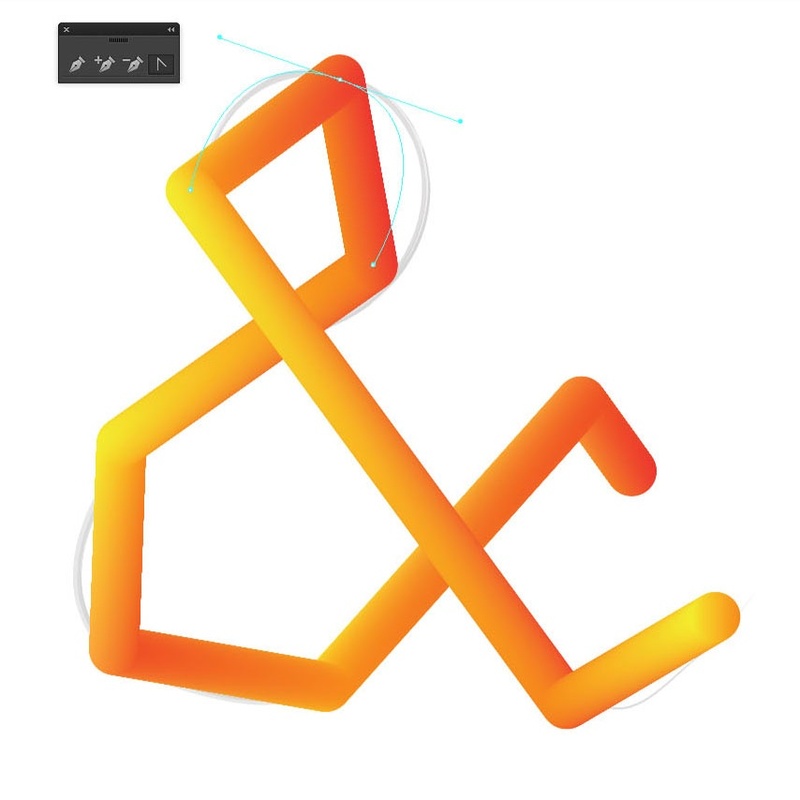 Place them along the Ampersand template, just like you see in the image below. 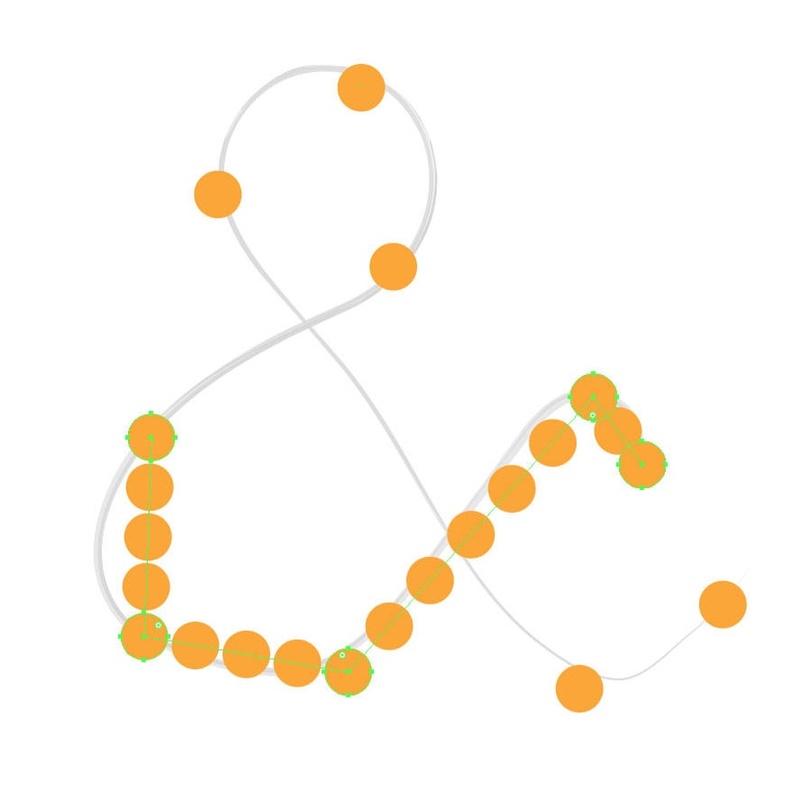 We will create blends of the circles and I outlined the direction in which we’ll start. 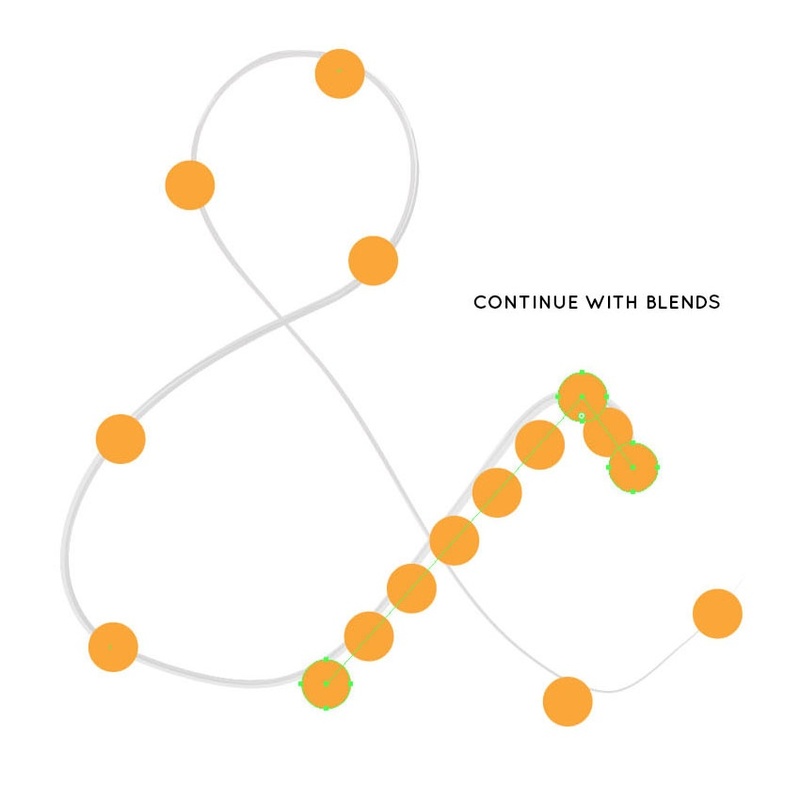 Hint: Place the circles where a curve appears, this will help us later to adjust the blend path. Now let’s select the first two circles with the Selection Tool (V) and then we’ll go to Object > Blend > Make Blend (CMD + Option + B). Then we’ll continue and make a blend out of all circles. 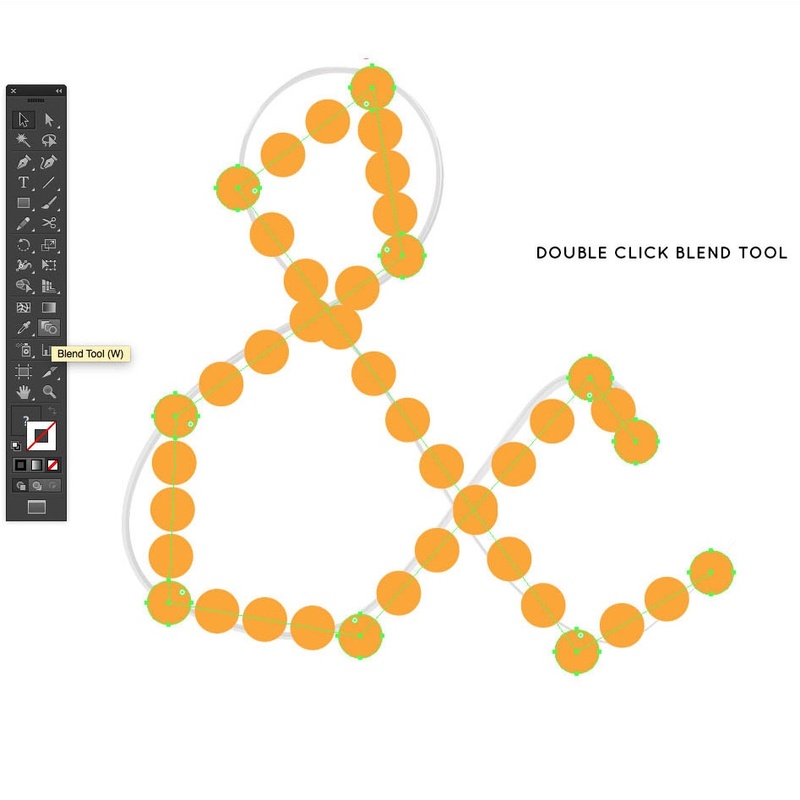 You can either select all circles or you can select them each time and add them to the blend you already created. For visual purposes, I created the blend step by step. 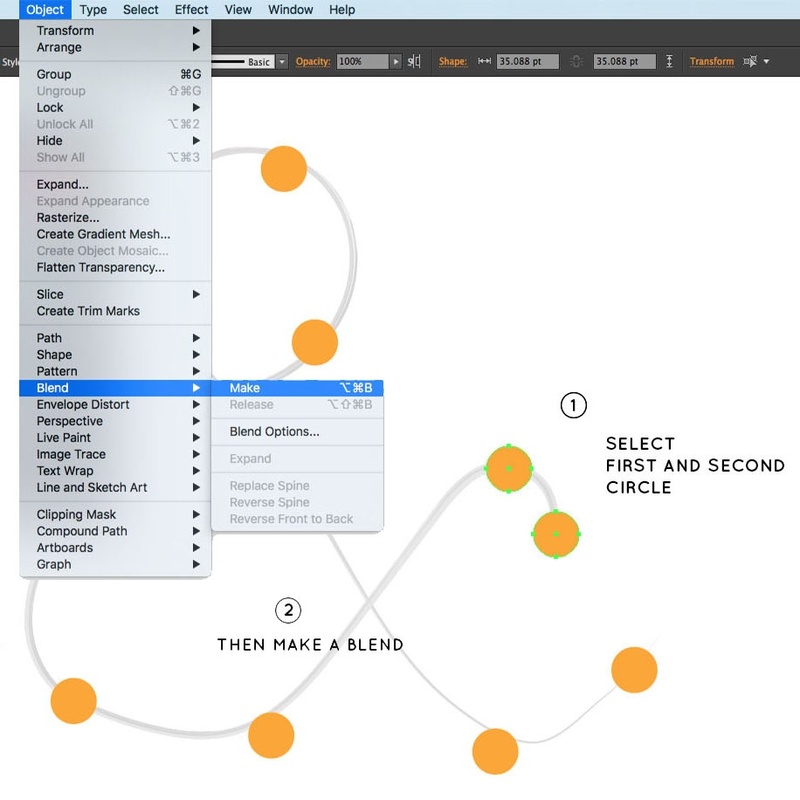 Now let’s select our blend and then we’ll double click on the Blend Tool (W) in the Tool Bar. 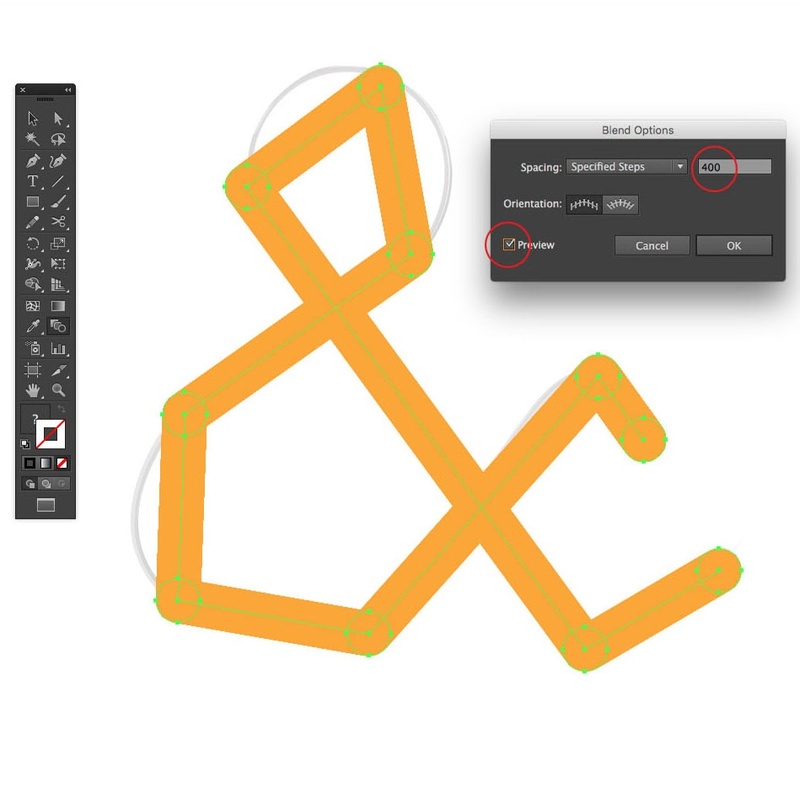 We will get a pop-up window and in the Blend Options we’ll change the Spacing from Smooth Color to Specified Steps. Set a value of 400 and then check the Preview Button. After that, click OK. We should now have a smooth transition. 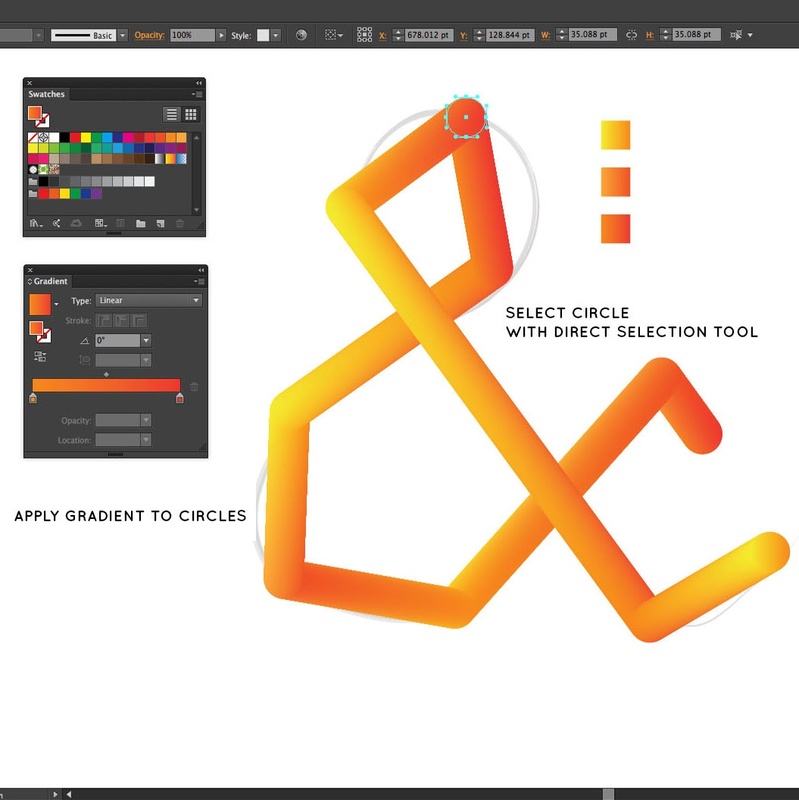 After we made our blend smooth, we will select the circles with the Direct Selection Tool (A) and then change each one from a solid color to a gradient. What color or gradient you choose is totally up to you. Once applied, you can see how we are getting now a cool transition between the colors. 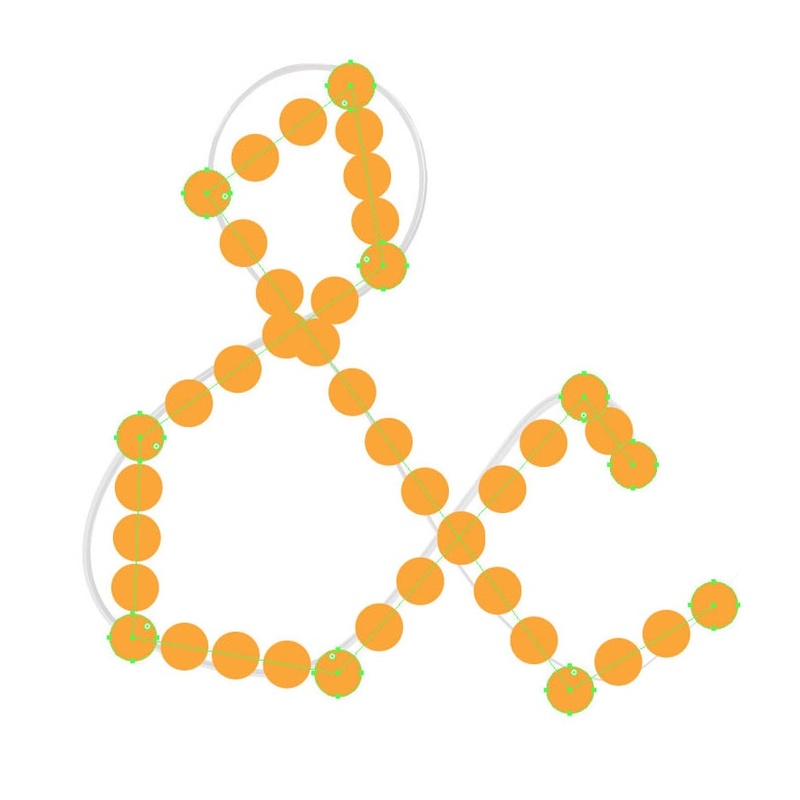 Once finished with the color changes, we will choose the Anchor Point Tool (Shift + C). With the blend selected, we will change the anchor points of our blend path and round them out with the Anchor Point Tool. Just place the tool on top of the anchor point and then press the mouse key and drag. You will see how easy it is to change it. We will repeat this step until all of our anchor points are curved. Now we can alter the circle sizes. This part is really up to you. It depends what look your are going for. I decided to make them bigger, so we just select the circle with the Direct Selection Tool (A) and then use the Free Transform Tool (E). Then we can apply this step to all the circles in the blend. Quick Tip: We can still alter the blend because it is still a live effect and we haven’t expanded the blend. After changing the size of the circles, I also changed the gradients again and added more color stops. And below you can see the final Adobe Illustrator outcome. As you might notice the Ampersand has a small mistake. The leg towards the bottom doesn’t fall behind the other one. Blends have there own minds 🙂 and follow in sequence, so trying to send one of the circles to the back will not work. We could reverse the order of the blend, but then we would still have the same issue. So I went ahead and used my other favoured software to fix the problem: Adobe Photoshop! 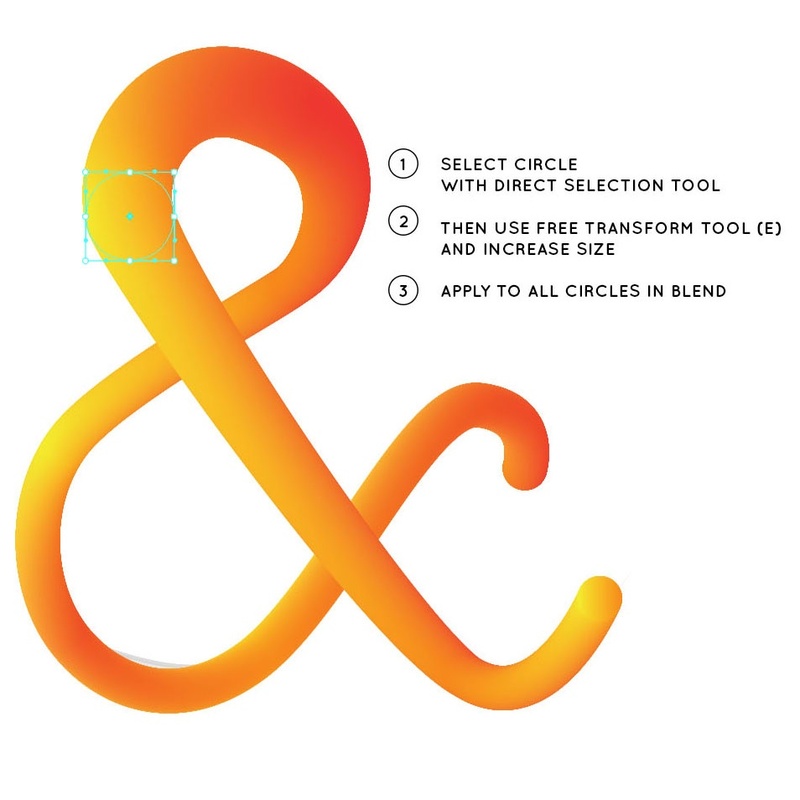 In Illustrator, make a copy of your original ampersand and then alter the ampersand so the front part is not overlapping. We need an altered version so we can mask it in Photoshop. 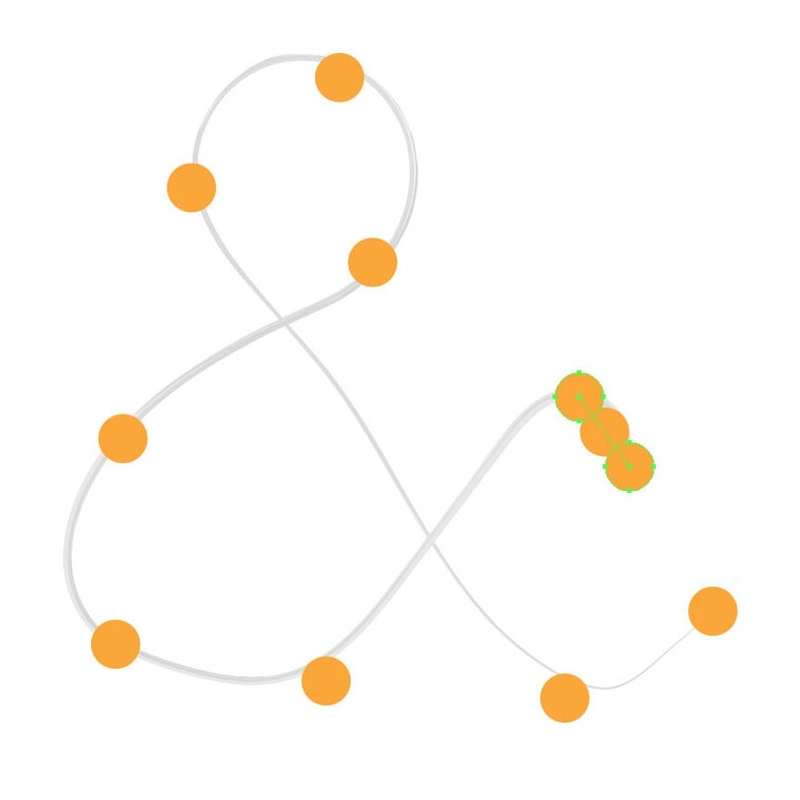 Use the Direct Selection Tool to move the anchor points of your path and the circles so you will have a result like the image below. The open Photoshop and create a new document. 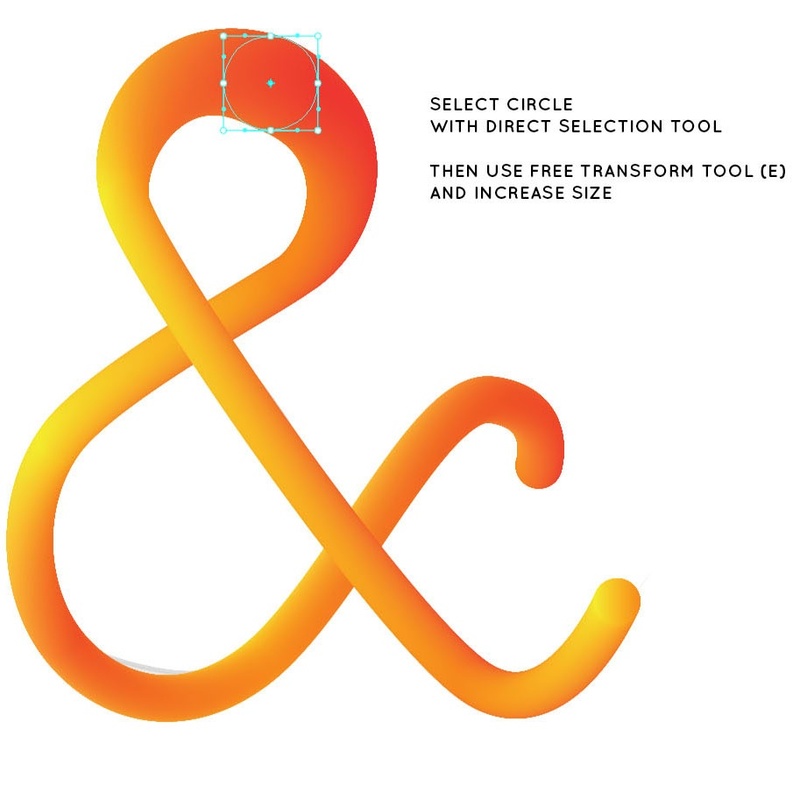 Select your ORIGINAL ampersand vector art from Illustrator and make a copy (CMD/CLTR + C). Then got to Photoshop and paste it into your document you just created (CMD/CLTR + V). 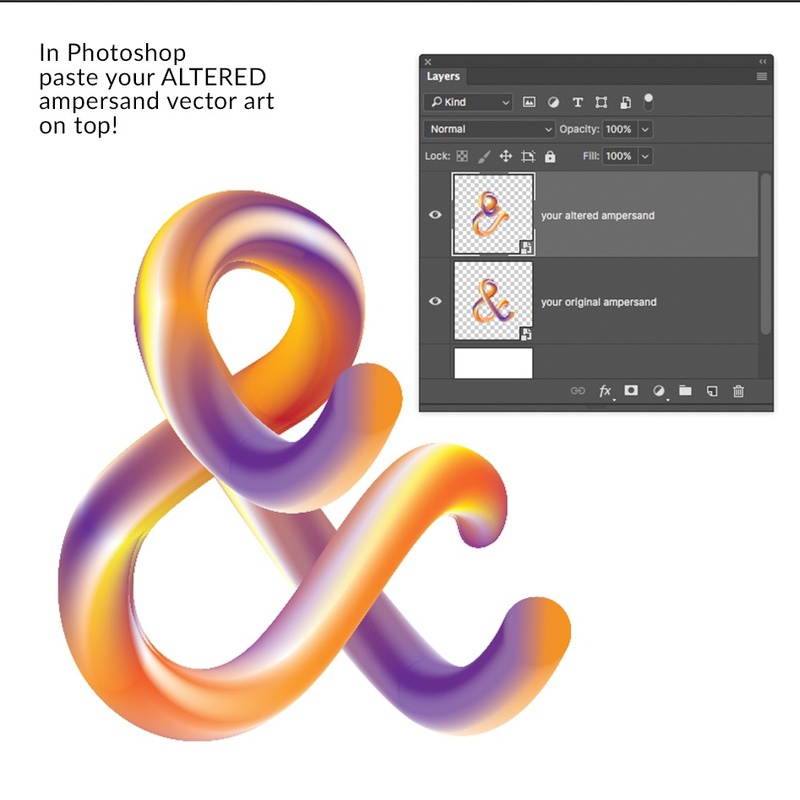 Then again make a copy of your altered ampersand and paste it into your Photoshop document on top of your original ampersand layer. 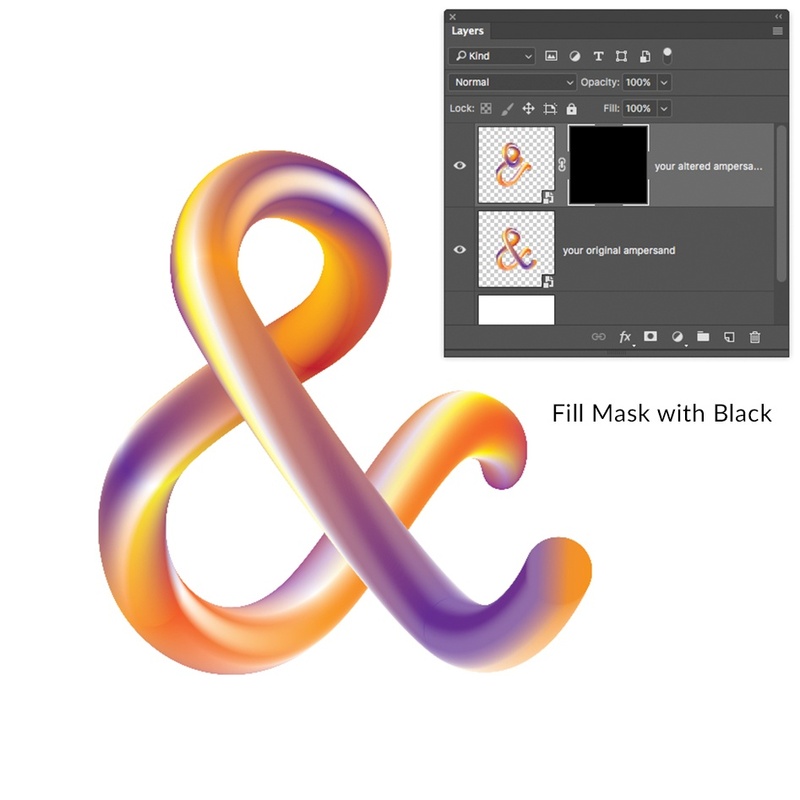 Add a Layer/Vector Mask to the altered ampersand vector layer and fill it with black. 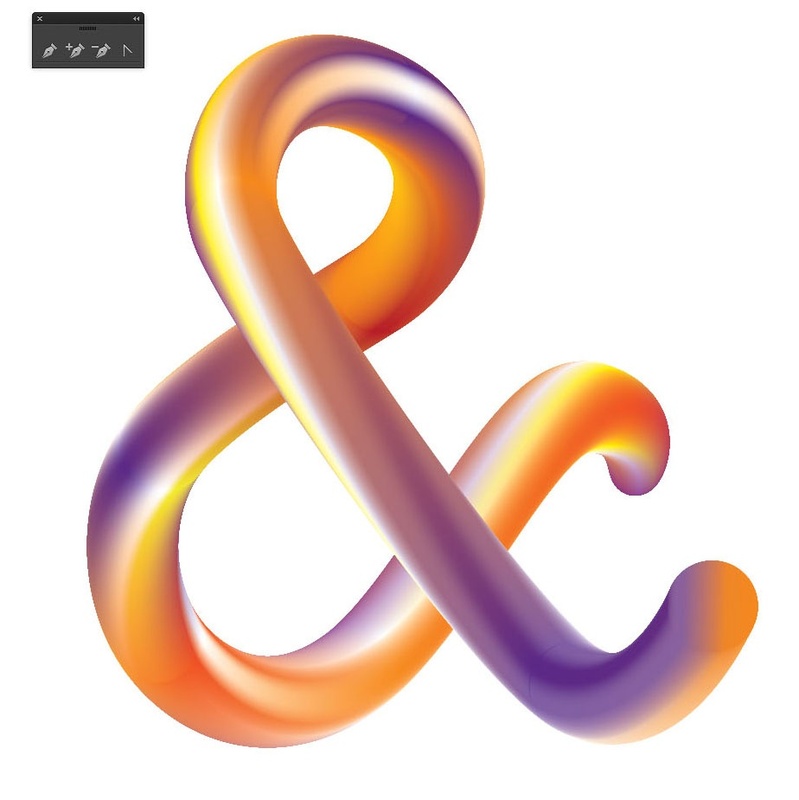 Then set the foreground colour to white and with the Brush Tool reveal the part of the altered ampersand needed. After that, add some shadows and a background. And that’s it! 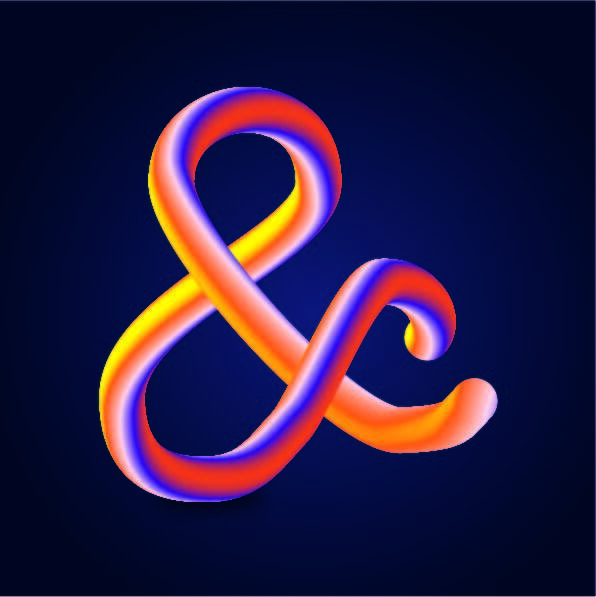 Here we have the final vector ampersand with a little twist ;). 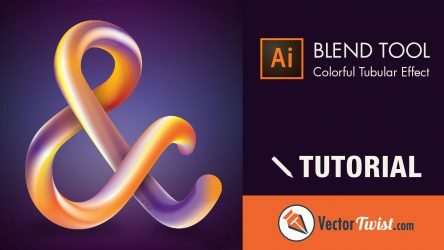 I hope you enjoyed this Adobe Illustrator Tutorial and please leave a comment or show your creation! 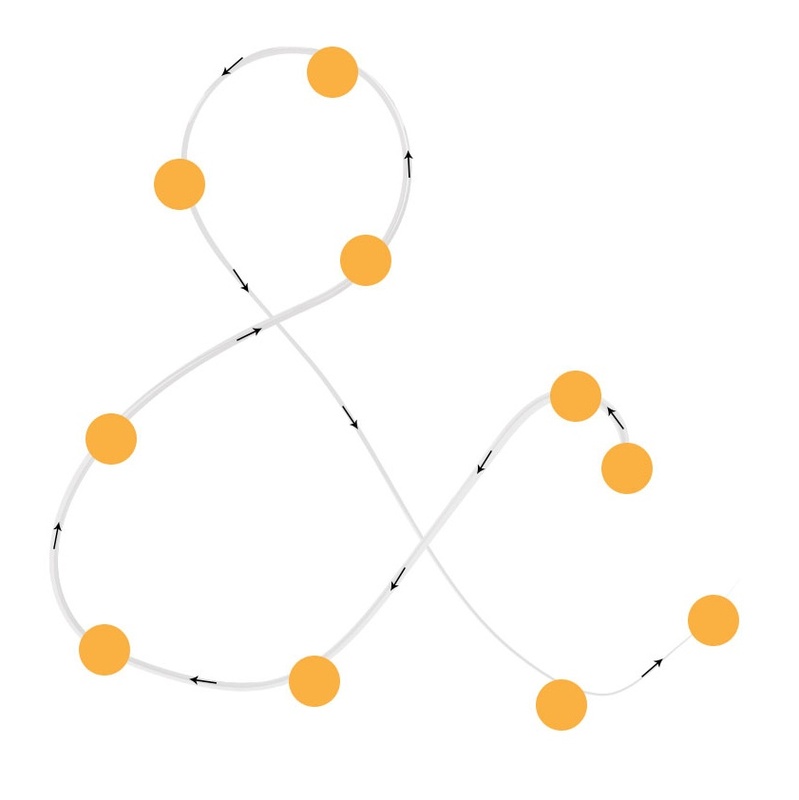 Rosa Lambert has created an awesome ampersand by following the tutorial here on vectortwist.com. Have a look! I don’t understand how I can fix the problem with the leg towards the bottom (falling behind the other one) in Photoshop? Can you please explain your solution? 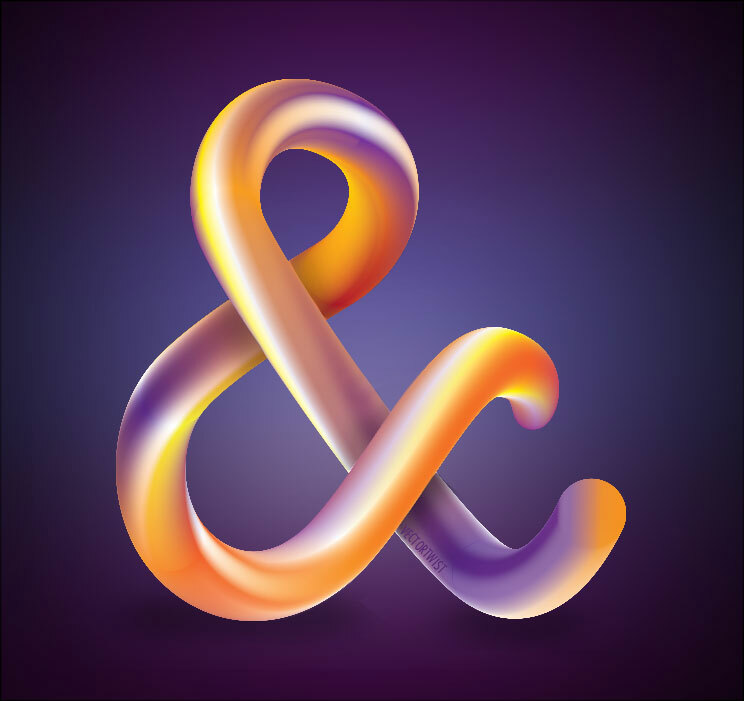 I ‘ve placed my ampersand in the Adobe Creative Cloud. 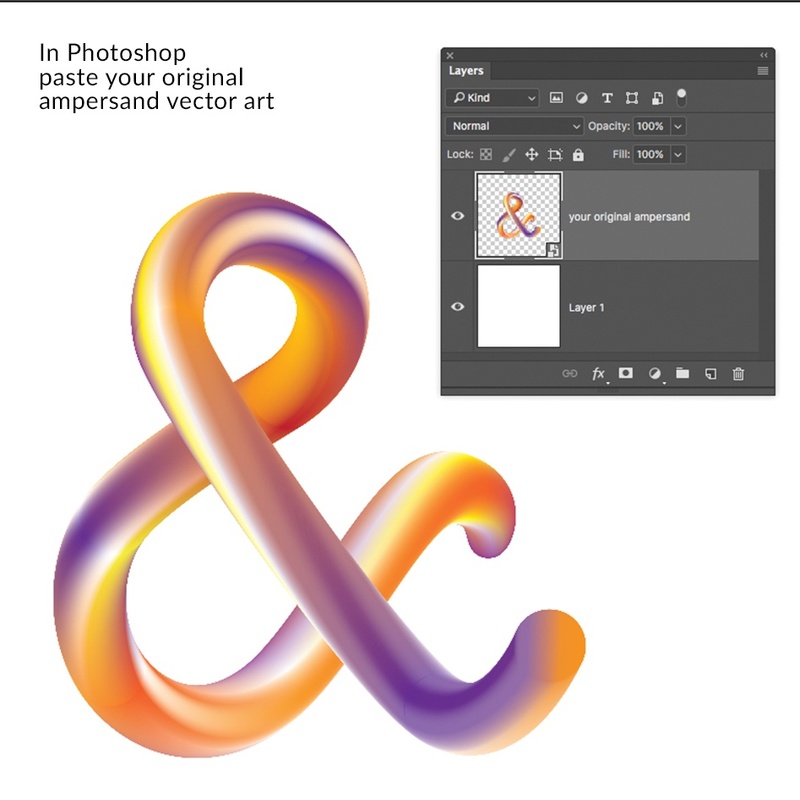 Thanks for you ampersand, btw, it looks good 🙂 I will post a small tutorial in addition to the ampersand tutorial and explain the steps to take for the Photoshop part. 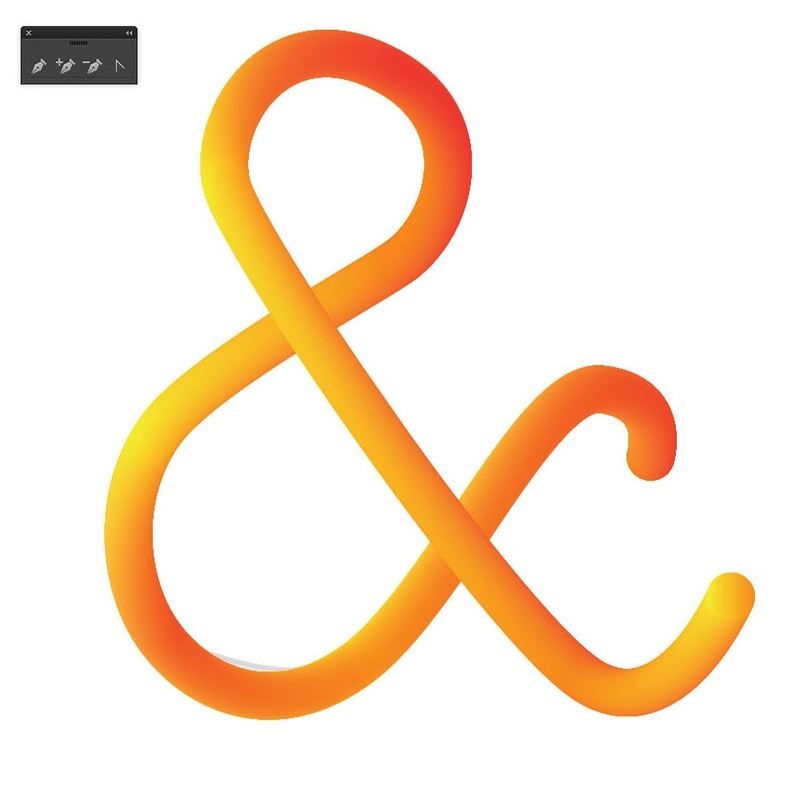 I made a copy of the Original ampersand and with the Direct Selection Tool I changed the spine of the Blend, so that the front part of the leg wasn’t overlapping anymore. In the Transparency Panel I made an Opacity mask, Black for the invisible part and White for the visible part Ineeded. I used the Pen Tool to select the needed part and I gave it a White colour in the mask. To get back to the Layers Panel I clicked in the box near the mask, and that was it! I didn’t need Photoshop after all. that is fantastic! 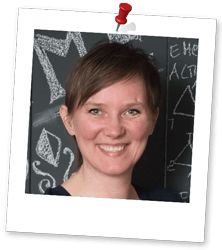 Happy you figured it out in Illustrator too!. 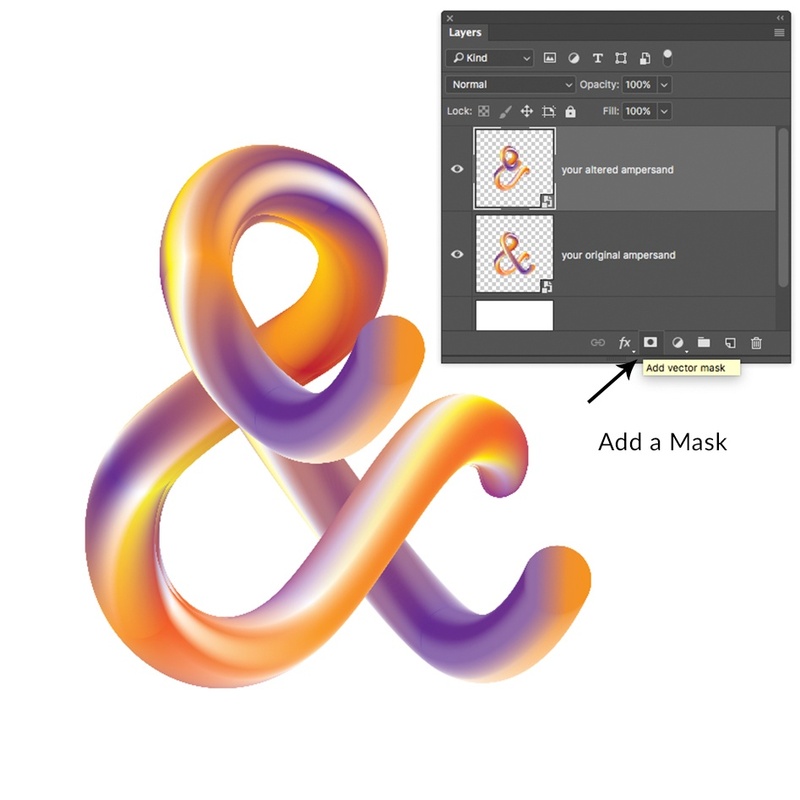 There are always multiple ways and the Opacity Mask is so underused in Illustrator, plus the Reverse Spine option for the Blend Tool. 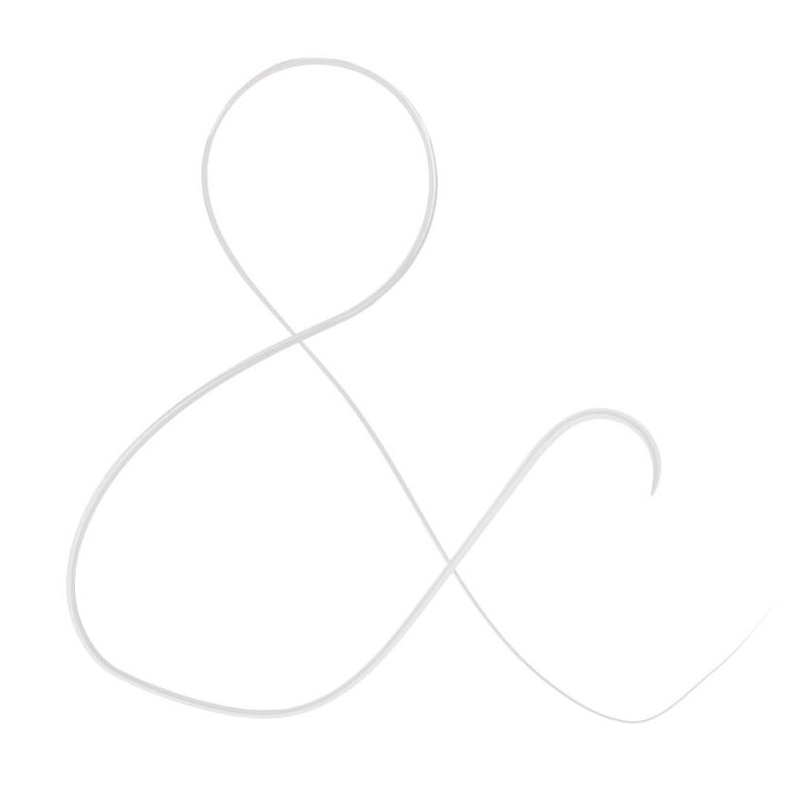 Send me your ampersand as a jpg and I will post it here with your name and such :). Great work!! !